Do you really think Carrie is stupid? Why would she stay with a "dumb" outfit when so many others are waiting in the wings for the opportunity to sign her. I don't think Carrie is stupid at all, but she strikes me as a 100% completely loyal person. So even though I don't think her team Is completely up to the task, I don't see her turning her back in them. Gator and DazzledByCarrie like this. She's brilliant, creative, energetic and, I agree, she is loyal, but nobody would be 100% loyal to a dumb company. Sony dropped the ball a few years with the ML loving CEO but, for the most part, they have done an outstanding job promoting her albums, arranging overseas tours, etc. Ann has been outstanding finding opportunities for her such as TSOML, SNF and so many others. Reading how dumb her team is gets old, especially when you look at her success. liz278, Suellen, countrymusicfan15 and 4 others like this. They sure are taking their time releasing the Fighter. haha It must coincide with the Grammys. They must be making a big splash. It will be interesting to see what they do with TF on country radio in Australia. It has already hit no.1 on the chart last year, before it was removed....assumably because its airplay at the time (causing it to go no.1 on our version of the BB "Hot Country Songs" chart) was pop airplay. I hope they release it properly to country here this year and let it return to number 1, and spending multiple weeks at the top like it deserves. Whilst Keith's label then sends it to Pop and HOTAC in the US (after its country charting). teesharky and lolita55 like this. The fact that this is taking so long to be released tells me that the chances of a surprise fifth single drop more and more each day. Maybe they'll release it on Friday for the Grammy weekend? That would be nice. 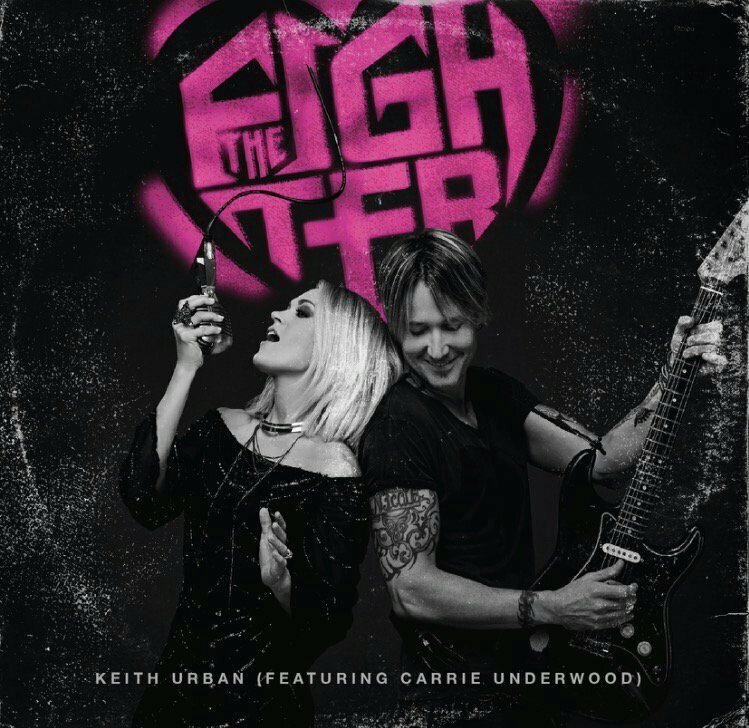 Check out the official artwork for @carrieunderwood & @KeithUrban's new single The Fighter! maddkat, AdrianAustraliaCarrie, DizzyDollyDee and 5 others like this. That's an awesome cover, love it! How gorgeous is Carrie?! txacar, teesharky, DizzyDollyDee and 4 others like this. LouisaJessie, txacar, teesharky and 3 others like this. At least the single cover is good! Carrie looks soo good! I love it! txacar, teesharky, DizzyDollyDee and 3 others like this. Made pretty much this same comment in the Twitter thread, but I LOVE the cover art. I'm glad he included Carrie - he certainly didn't have to since it is only a feature vocal and not a true duet where they trade verses and choruses. He's a smart man, though, lol - he knows including Carrie in as much of the promotion as possible will only help the single! Gosh, I really hope they push this for crossover success. txacar, ethelu, rainbow1 and 1 others like this. teesharky, txacar, ethelu and 2 others like this. Gorgeous single art! Love it! txacar, DizzyDollyDee, ethelu and 2 others like this. Kizmet311, abbeyjones18, txacar and 6 others like this. abbeyjones18, txacar, Gator and 4 others like this. So happy things are finally picking up. I cannot wait for the video! AdrianAustraliaCarrie, Gator, CrazyAboutCarrie and 1 others like this. txacar, rainbow1 and teesharky like this. ^ Sweet! 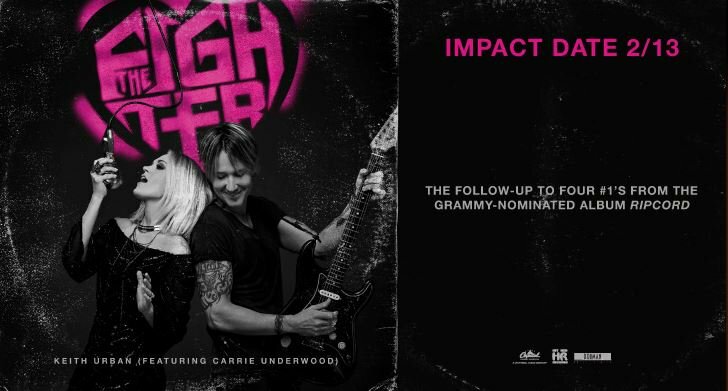 Just in time for Valentine's Day, and the Grammy boost. I love the heart on the art work. The timing of Valentine's Day is smart. It really is an upbeat, fun love song. Perfect timing. rainbow1 and CrazyAboutCarrie like this.